Google on the Purpose of a Webpage | Jody Nimetz Co.
For those of you not in the Search industry you may or may not know that Google has various guidelines that they use for measuring the quality and effectiveness of your website and your website pages. 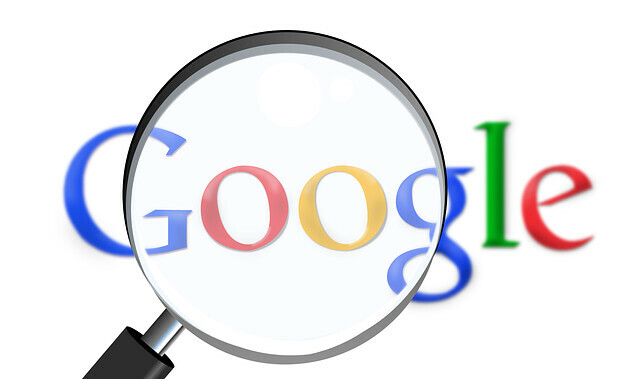 Google is looking to organize the world’s information and provide answers to user’s queries. They use complex algorithms and machine learning to determine which pages show up for which queries based on the trillions of pages they have in their index. Google has indexed various types of content including webpages, images, videos, and news releases. Whether it is a blog or a traditional website, there is still much value in creating high quality webpages. Have you ever thought about how Google evaluates your webpages and why or how they consider one webpage as more authoritative and relevant than another? What is the Purpose of a Webpage? There are a number of reasons behind creating content via a traditional webpage. In essence the purpose of the page is the reason that it was created. For the most part, webpages are created and design to provide some information and help users find information that they are looking for. Websites and pages should be created to provide some use to users. It makes sense then, that a webpage designed to harm or deceive users (potentially for the purposes of misleading advertising or to make money) will receive the lowest quality rating from Google. To share and provide information about a given topic. To sell a product or service. To share personal information . To share pictures, images, videos or other forms of media. To express an opinion, share a perspective or point of view. To provide a forum for users to share their feedback. To provide a place for users to download software. To provide a place for users to share information or share files. To provide access to tools (i.e. such as currency converters or calculators). Medical information pages: which are webpages that provide information about health, diseases, conditions, treatments, nutrition etc. Shopping pages/financial transaction pages: any webpage that allows you to make a purchase, pay bills or transfer funds in exchange for goods or services. Financial information pages: webpages that provide financial or investment advice. Pages that provide information on taxes would also fall into this page type. Legal information pages: webpages that provide some sort of legal advice or education of legal protocol on a variety of topics ranging from becoming a citizen of a given country, creating a will, filing for divorce, starting a business or the like. Main Content – the main contextual portion of your page content. This is the part of the page that helps the page achieve its purpose. This type of content may consists of contextual content, images, videos or user-generated content such as testimonials or reviews. Secondary Content aka Supplementary Content – this might include components such as navigation elements, footers etc. This type of content may contribute to the overall user experience but does not directly help the page achieve its purpose. Advertisements / Monetization – any content that is displayed with the purpose of monetizing/making money from the page. This would consist of things like ads, banner ads, sponsored links etc. Note that in certain cases Google may consider content as main content while in other it may consider it supplementary content. For example of a certain page, Google may consider reviews as the main content while on other pages it may consider the review content as supplementary content. As the creator of that content you should look at what you want the purpose of your page to be. From an optimization perspective, your pages should be related as they will form your website as a whole. You want to ensure that you have prevalent themes throughout your website that are related and intertwined as this will help you build overall authority for your website and your individual webpages. The purpose of any webpage on your site should feed and support the overall purpose of your website as a whole. We will have more on content quality and what Google looks for in quality pages in future posts. If you are in need of a website or content audit please contact us for a free quote! Pingback: Page Quality Rating: Most Important Factors | Jody Nimetz Co.